The Australian Federation of Travel Agents (AFTA) has appointed its first new chairman in a decade, after the incumbent stepped down because he was no longer eligible to stand for office. AFTA confirmed yesterday that Tom Manwaring from Express Travel Group had been elected at the AFTA board meeting on Wednesday to take up the chairmanship of AFTA with immediate effect. Manwaring has served on the AFTA board for the past four and a half years so is well versed in the many issues AFTA deals with. He replaces Mike Thompson, who stepped down as AFTA chairman after 10 years in the role. 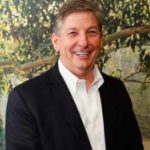 Thompson’s recent departure from Helloworld Travel (where he was group general manager partnerships) after 18 years as a senior executive there means he can no longer serve as a director on the AFTA board – so is no longer eligible to be the chairman. Incoming chairman Manwaring thanked his fellow board members for their support in electing him to the role. 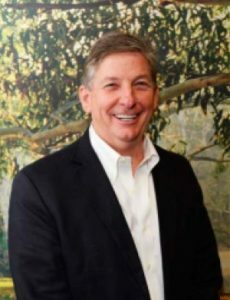 “I look forward to supporting AFTA and the members going forward as chairman and would like to extend my thanks to Mike for his outstanding work while chairman,” Manwaring said. Outgoing chairman Thompson said he had “thoroughly enjoyed being chair of AFTA for the past decade and appreciate the support given me by fellow board members and the broader travel industry”. The old boys club at AFTA works again. We have a bunch that supposedly represents the industry, yet its unlikely any have ever sold a ticket or dealt with a customer. Their main interest is in increasing the profits and share prices for their publicly listed companies and they’re quite happy to have an industry dominated by their companies, to the detriment of any independent. How can you possibly have a representative board that doesn’t permit anyone but the CEO’s of the multis to sit on the board?